Deskpad Printing. Create Your Own Decorative Desk Pad. Handmade In Our Studio. Make your work space more fun and functional with deskpad printing. Your new decorative desk pads are made from supportive and flexible neoprene, which gives excellent comfort to your hands and wrists. Measuring 25.59" x 20.47" x 0.12", this large pad will protect your desktop from scratches, stains, and spills and will give you all the space you need for your mouse, keyboard, drawing tablet and stylus and much more. Thanks to its non-slip back, it is ideal for desks, workbenches and table tops. Upload a design that will inspire you to create and enjoy working in a whole new way. Size: 25.59" x 20.47" x 0.12"
Your new decorative desk pads will make a welcome and valuable addition to any workspace, desktop or tabletop. Featuring a non-slip back, you can place your mat on any surface to create a comfortable and supportive worktop. Made from custom printed neoprene, this pad will not only make your designs pop, but it will help protect your hands and wrists throughout your working day. It will also provide a smooth experience when in use with your mouse. The large size of your pad makes it ideal for using with all of your everyday essentials, including your keyboard, tablet, stylus, mouse and notebooks. You can also use it as a protector to help prevent scratches and damage to your tables. Your artwork is printed in super high definition, edge to edge, so the pad is sure to add a bold statement to your desk. 25.59" x 20.47" x 0.12"
At Contrado we specialize in deskpad printing, which is why you can feel assured that you will receive a beautifully produced, one of a kind piece. Every pad is made by hand at the Contrado studios by our skilled team of expert printers, technicians and crafters. Once your design has been submitted into our online interface, technicians check it thoroughly to ensure it will look perfect once printed. Next, your design is printed onto neoprene fabric. This durable and supportive material makes the ideal choice for a comfortable and professional deskpad. We print deep into the fibers, creating a permanent finish that will not fade away. Finally, your pad is cut to size and shipped off to its new home. Your deskpad is made from strong and durable neoprene fabric. This is a hardy material that can be cleaned with either a damp cloth or a more vigorous hand wash. If you want to iron it, we recommend a cool heat or up to 120 degrees C. Please ensure your iron is clean. If you are in any doubt, simply place a clean cloth in between the mat and the iron. When designing your custom desk pad, please take into consideration its size and orientation. Measuring 25.59" x 20.47" x 0.12", this is a large rectangle with a very generous amount of surface for your to print on. We print edge to edge, so you can upload a whole piece of artwork without worrying about losing any important details. You could print a single image, or even a repeat pattern. If you are looking to upload a photograph, landscape or panoramic images will look simply stunning. Extraordinary Very beautifully made Desk Pad, the photo came out very nice! If you work from home, then deskpad printing can be a real life changer. Give your work space a unique and functional finish by designing your own custom desk pad. The large size is ideal for covering your desktop and for keeping all of your essentials together. This is a truly versatile product, and it can be used in more ways than one. Use it to protect your tables when the kids want to start being creative with drawing. You could even use it under tablecloths to prevent hot dishes from damaging your dining room table. If you own a design agency, then why not treat your hardworking and creative staff to their own branded custom desk covers? Deskpad printing is great for companies, as you can print designs that show off your company's logo and branding, as well as personalizing them for each member of staff. The pads are large enough to hold their keyboard, tablet and stylus, mouse and much more. They will also give them additional support and could help prevent strain injuries. Update your design portfolio and fill it with unique and useful pieces that your clients will not only love, but will be able to use in their daily life. Take advantage of deskpad printing and create a range of bespoke deskpads. 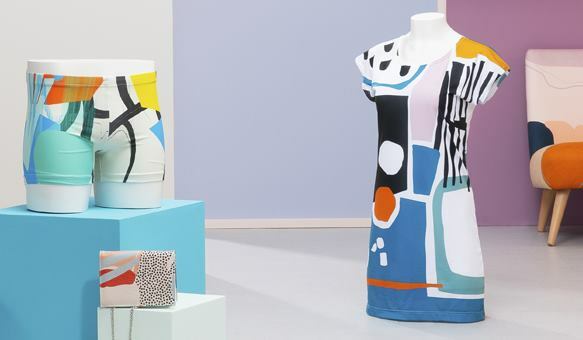 This new collection should reflect who you are as an artist, so print designs that complement your existing work. 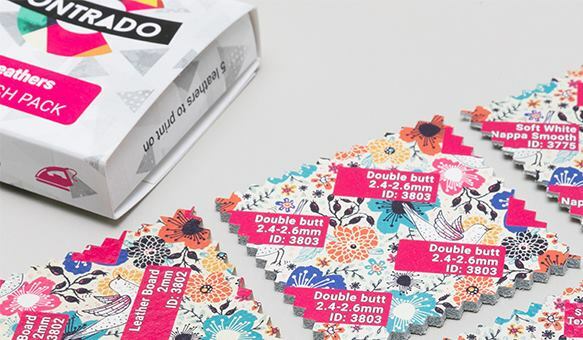 The desk pads are printed edge to edge in exceptionally high quality, so you can be assured that your printed artwork will look as beautiful as the original. What is the desk pad made from? Your new mat is handmade from neoprene fabric. This flexible fabric offers maximum support and shock absorption. 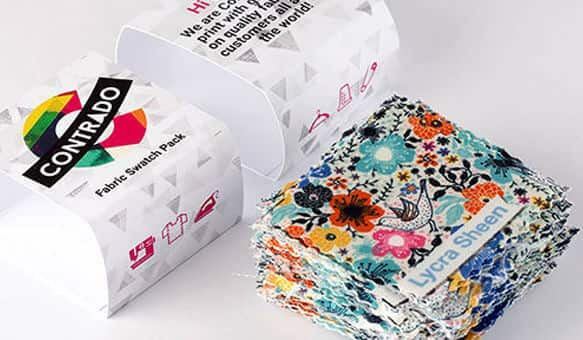 The insulating material is a joy to print on, and your designs will look bold and vibrant, with small details printed clearly. The back of the mat has a non-slip texture, making it ideal for many surfaces. What can I use the desk pad for? Your custom desk cover has been created to give you ultimate comfort, support and functionality at your desk. Ideal for all kinds of work spaces, the neoprene mat will give your hands and wrists ultimate support while you work, and the large size means you can keep all of your work essentials securely on the mat. You can have a lot of fun designing your own custom printed desk pads. They cover a large area of your worktop, so make sure you print something that you will love looking at all day. A photograph that inspires you, a piece of artwork that motivates you, or quotes that will help give you a boost are all great ideas. These desk pads are handmade from comforting and supportive neoprene fabric. Printed with original artwork by our team of skilled #ContradoCreatives.